If you walk into your doctor’s office and your blood pressure is high, chances are you’ll be told to eat less salt. And if your reading is higher than 130/80, it’s likely you’ll be prescribed a blood pressure drug. 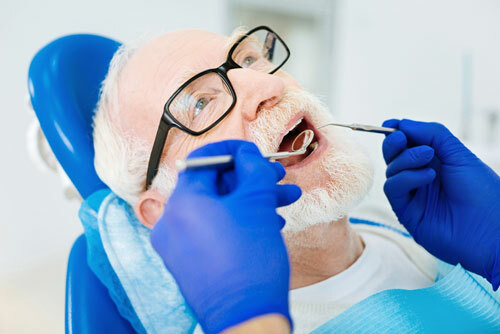 But a new study shows that hypertension in many people may be caused by a common dental problem. And in these patients, eating less salt and taking blood pressure drugs don’t work. Dr. Davide Pietropaoli was lead author. He said doctors should be aware that good oral health is just as important in lowering blood pressure as exercise, a low-salt diet, controlling weight, and taking medications. Use Tea Tree Oil. Studies such as one from the University of Adelaide in Australia have found that tea tree oil reduces gingivitis, which is the earliest stage of gum disease. The most important message from the new study is this: If you have elevated blood pressure, make sure your dentist thoroughly checks your gums for signs of periodontitis. Editor’s Note: Something strange was happening to the blood pressure of pilots training to fly F-16 fighter jets. The ones who went into the program with elevated blood pressure were coming out a few weeks later with normal, healthy readings. They hadn’t taken any medications. Their diets hadn’t changed. They hadn’t made any changes to their exercise regimens. Go HERE to discover their secret. And how you could lower your blood pressure up to 15 points from your living room using this same trick.